The finest design allows the easy installation and removal of Vena iSlide. You need to slide off the below section to connect your Samsung Galaxy 8 to charging or multimedia port, without disturbing the upper portion of the phone. 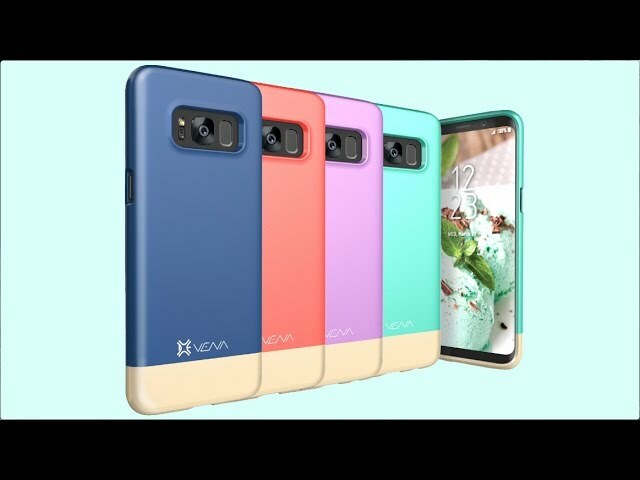 Vena iSlide is manufactured with the polycarbonate (PC), paired up with smooth and soft rubber coated exterior to offer the strong grip to your phone. This will secure your phone from the external dust, dents, and scratches every day. Being the best case for Samsung Galaxy S8, its Vena iSlide incorporates the soft microfiber in its interior. This will allow a phone owner to experience the soften feel with effortless installation and removal. The minimal and trendy look of this case keeps your phone safe from the exterior bulk, complementing its appearance greatly. Vena Galaxy S8 case is specifically engineered with the finest cut-outs to tailor the device’s specifications and caters the easy approach to all buttons, features, and ports. The slanted power and volume buttons are designed to preserve the solid response from the phone’s buttons. The lifted bezel maintains a certain gap between the surface and the phone’s screen & camera when putting down. This will keep your phone safe from the scratches and other colliding possibilities.